The films were at times shocking, often amusing, and always enlightening. This past Wednesday the Film Studies Center hosted International, Intimate, the second portion of a three-part series entitled Vision and Communism: The Films of Aleksandr Medvedkin and Chris Marker. The event is part of the citywide Soviet Arts Experience, in conjunction with the exhibit at the Smart Museum of Art and Professors Robert Bird and Matthew Jesse Jackson’s seminar Vision and Communism at the Franke Institute’s Center for Disciplinary Innovation. International, Intimate showed five films of varied length produced between 1962 and 1971. Robert Bird, Associate Professor in the Departments of Slavic Languages and Literatures and Cinema and Media Studies, chose the films and spoke at the beginning of the event. Ninety people were in attendance, according to Sabrina Craig, Events Coordinator for the Film Studies Center. 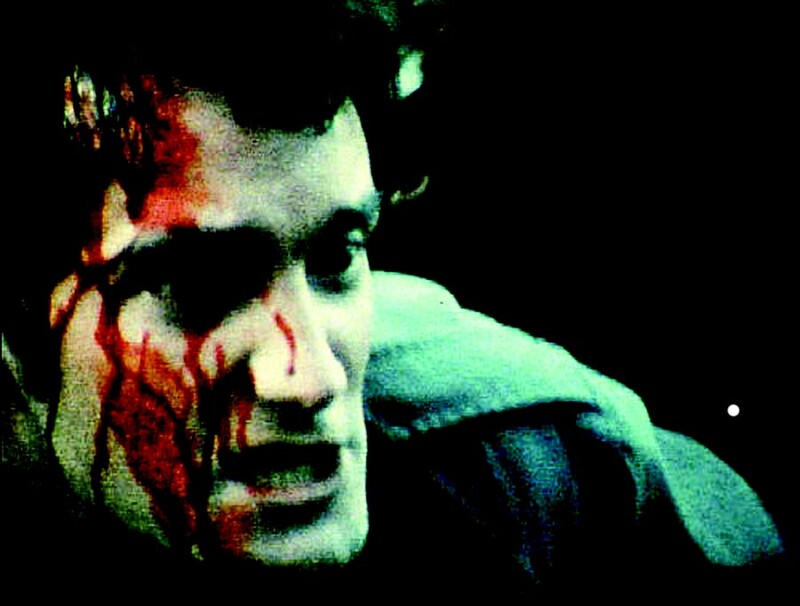 Medvedkin and Marker independently developed an “idiosyncratic documentary style,” combining documentary footage with animation and still frame, according to Bird in his opening remarks. Courtesy of the Moscow Film archive, this viewing of a selection of Medvedkin’s films marks their first presentation “outside the Eastern Bloc,” said Bird. The presentation began with Medvedkin’s Law of Baseness, a 50 minute investigation of decolonization in Africa and of the oppressive, capitalist West. A recurring motif of a capitalist’s beating heart as a silver dollar coin incited laughter from members of the audience. Images of Western leaders with smug, menacing grins coupled with suspenseful music, contrasted with footage of Ghanaian children dancing in their school yard, painted the West as profit-driven to the point of barbarism. Slogans such as “How terrible is the law of profit, taking from these children a childhood!” and “Remember plundered Africa!” flashed across the screen on countless occasions. The film begins and ends with footage of Patrice Lumumba, the famed Congolese independence leader and fairly elected Prime Minister of the newly freed Republic of the Congo. Ten months after he took office, he was overthrown and executed in a coup orchestrated with the assistance of the government of the United States and Belgium. This disturbing footage is followed by scenes of Soviet-African friendship and cooperation. Next, the series returned to Medvedkin’s “Letter to a Chinese Friend,” a brief 10-minute exhortation about China’s Maoist interpretation of communism, framed as the USSR addressing China as an old friend who has turned their relationship sour. The Soviet narrator warns against the “desperate psychosis” of Mao’s “Little Red Book” and longs to return the two countries to a state of harmony. The series concludes with Marker’s The Embassy. The film depicts the life of political refugees in an embassy in Paris as they try to get information from the outside and establish a sense of normalcy. One of the men in the embassy says, “All political directions have gone bankrupt.” At the end of the film all the refugees leave in a van, facing only a life in exile. All of the films express international intimacy in the contrast between the larger entities of the United States and the Soviet Union and their respective political struggles, domestic and abroad. The films were at times shocking, often amusing, and always enlightening.